We have been traveling now for 17 consecutive years with no end in site. Our son grew up on the road (he is now trying out a stick house - his first since he was 18 months old). Our business "Act!vated Storytellers" keeps us moving both on stage and off. Typically we spend no more than a day or two in one location. 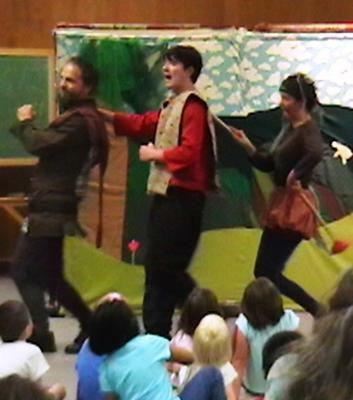 We tour the US performing folktales for children and their families at schools and libraries. But really the love of travel and exploring new places keeps us going. If you would like to try to keep up with us our travel blog is at Act!vated Storytellers or you can follow @activated on Twitter. 17 Years As Full Time Rvers! After 17 years you guys are old pros at Full Time Rving. We love your story and photo. Looks like you are having the time of your life!